Vwaire Favour Ajewen has emerged the winner of the first Diamond Bank/Visa ‘Activate and Spend’ campaign draw held over the weekend. 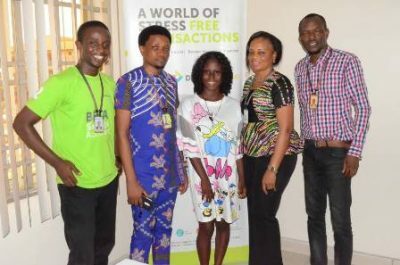 The Ozoro Polytechnic, Warri, Delta State student would watch the 2018 FIFA World Cup in Russia on an all-expense paid trip courtesy of Visa. Commenting on the emergence of the winner, Head, Corporate Communications, Diamond Bank Plc, Chioma Afe, stated, “We are delighted to be rewarding a loyal customer with the prize, courtesy of Visa. This is truly exciting as it demonstrates the benefits of using our services. Not only are Diamond Bank services convenient and secure, customers stand a chance of winning by simply transacting with us”. 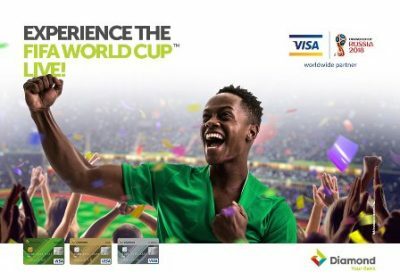 The Activate and Spend campaign is open to all Visa cardholders and it provides them an opportunity to watch the 2018 FIFA World Cup live in Russia. They stand a chance to win the grand prize in the draws, by simply paying for at least three transactions worth a minimum of N1,000 each with their Diamond Bank Visa debit or credit cards before 25 April 2018.